“The Evolution of Flora” is an original kinetic steel sculpture. It was installed in front of the Performance Arts Center in downtown Colorado Springs in June 2009, as part of the cities 11th Annual Art on the Streets Exhibition and Competition. The milestone event boasted its largest number of entries and its highest caliber of artwork to date, hosting Artist from across the country and abroad. Participating for the 1st time and the only out-of-state artwork to place, “The Evolution of Flora” was proud to received the competition’s 3rd prize and 5k award. 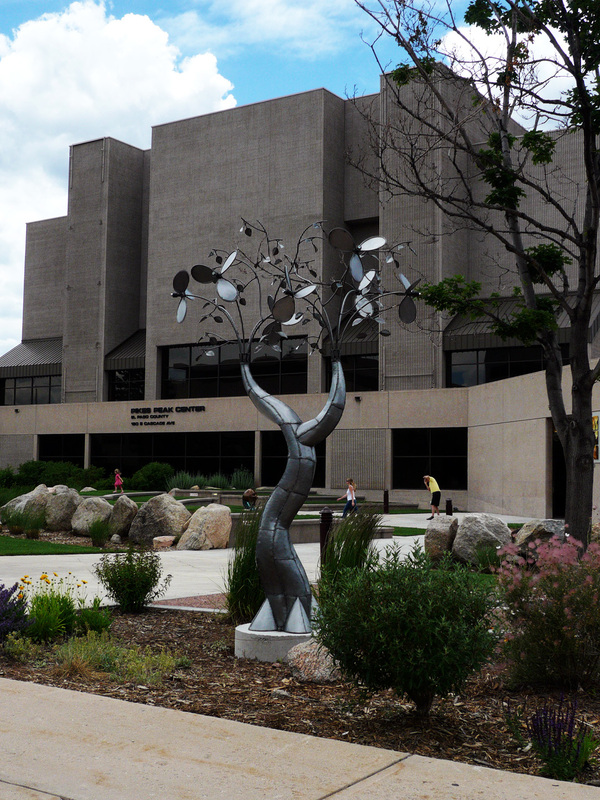 “The Evolution of Flora” has since been purchased by Colorado Springs’ Performance Arts Center, where it continues to reside.